The occasion marked Granite’s 9th consecutive year receiving the honor. communications solutions to businesses, announced today that it has been recognized by the BostonBusiness Journal as Massachusetts’ 2nd highest Top Charitable Contributor at the 12th annualCorporate Citizenship Awards on Thursday night at Fenway Park in Boston. The occasion markedGranite’s 9th consecutive year receiving the honor. The Corporate Citizenship Awards recognize the most charitable companies in Massachusetts who have contributed at least $100,000 in philanthropic support of Massachusetts charities. This year,the BBJ honored a record 94 companies who combined to contribute approximately $273 million to nonprofits in the area. Granite accounted for over $20.5 million of that amount. "This year’s Corporate Charitable Contributors list is the largest the Boston Business Journal has ever assembled. We are incredibly proud of the 94 companies that qualified for the list. They are all outstanding examples of the impact and importance of giving back," said Boston Business Journal Market President and Publisher Carolyn Jones. nonprofit public charity which Granite now uses as a vehicle to identify, plan and fund philanthropic projects. The company also recently created a Volunteer Time Off program to encourage personnel to be more active in volunteer work. Last year, Granite’s staff contributed 5,556 volunteer hours to charitable activities in the Bay State, and that amount is expected to be even larger in 2017 thanks in part to the formation of Granite Gives Back. Granite provides voice, data and other related communications products and services to multi location businesses and governmental agencies throughout the United States and Canada. Granite furnishes services to more than two-thirds of the Fortune 100 companies in the United States, and 1.5 million voice and data lines under management. Granite employs over 1,800 people at the company’s headquarters in Quincy, MA, and offices in Atlanta, GA, Chicago, IL, Dallas, TX, West Palm Beach, FL, New York, NY, Orlando, FL, and Providence, RI. 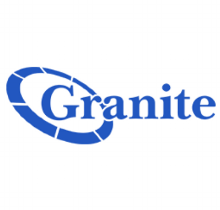 For more information, visit www.granitenet.com.